I guess autumn's pretty over. 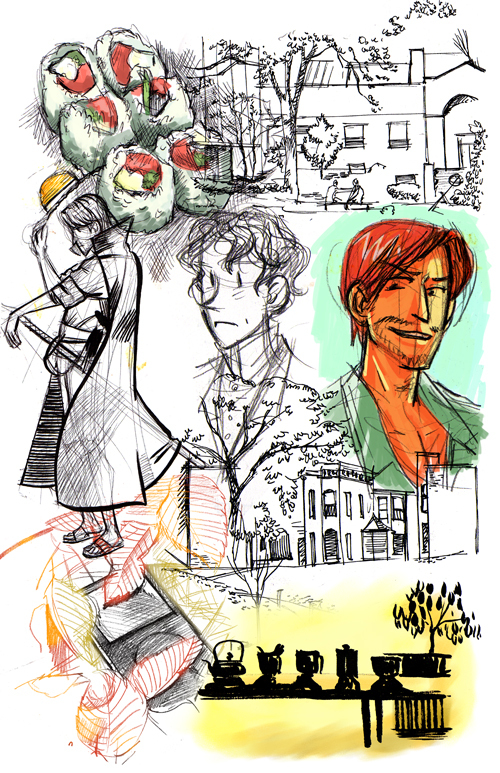 There's a smattering of stuff I drew walking around MCAD campus. Character stuff too. Red hair and hat guy are the same dude–Shanks, my favorite from One Piece. He's a pirate. Also, the Philly roll from Fuji-ya. Highly recommended.